UK’s new aircraft carrier HMS Queen Elizabeth, the largest warship ever built for the Royal Navy, entered service in Portsmouth today, 7 Dec 2017. 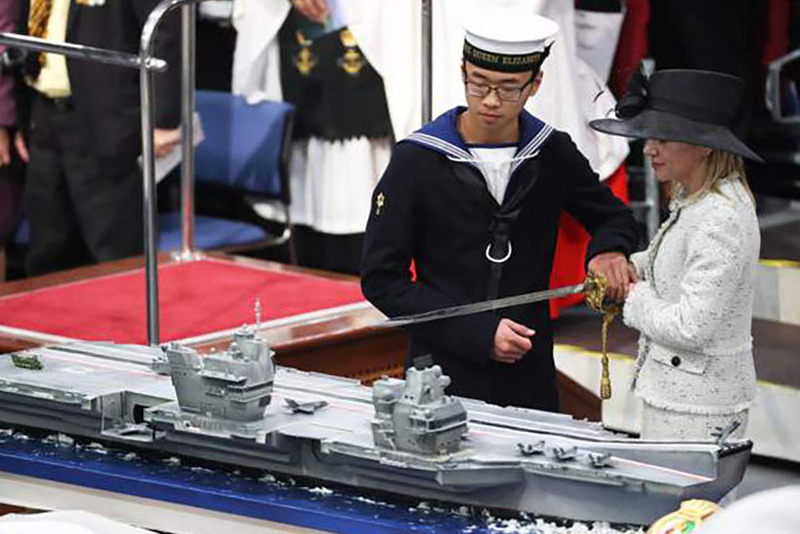 The Queen, ship’s company and 3,700 guests attended to see the Royal Navy White Ensign raised on the vessel for the first time. Tex Special Projects designed and manufactured the innovative Flying Control Room (FLYCO) and installed the glazing throughout the ship. 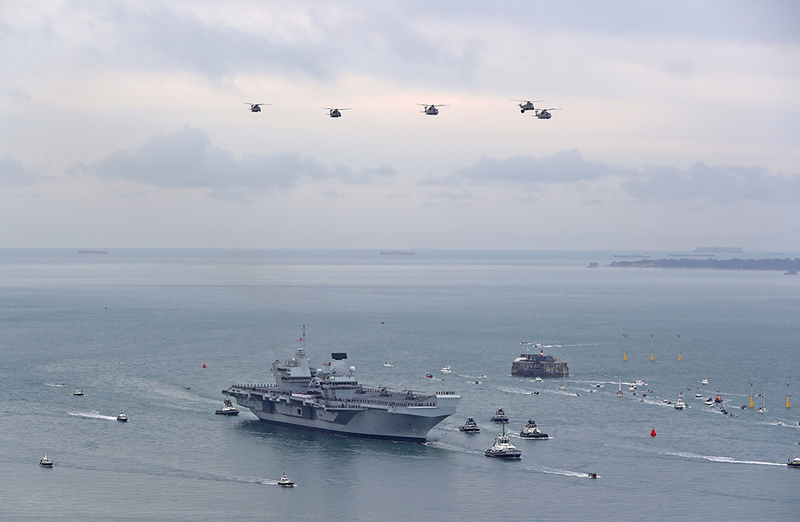 The 65,000-tonne carrier was met with the warmest of welcomes as she arrived in her home port. 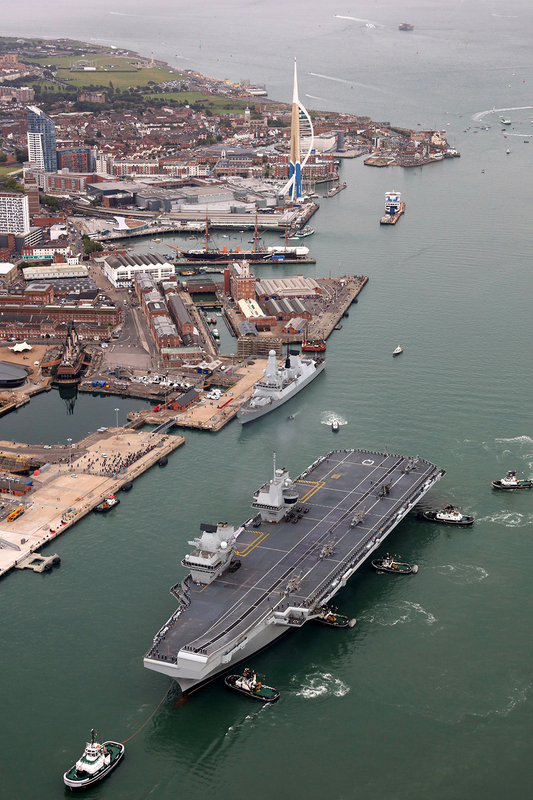 The ship berthed at the newly-opened Princess Royal Jetty at Her Majesty’s Naval Base Portsmouth. 8ft-long (2.44m) cake replica of the ship!